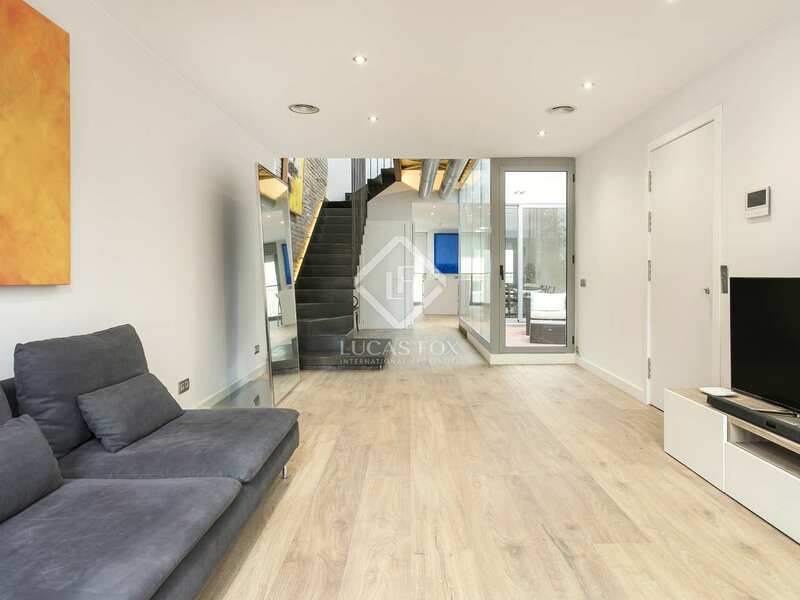 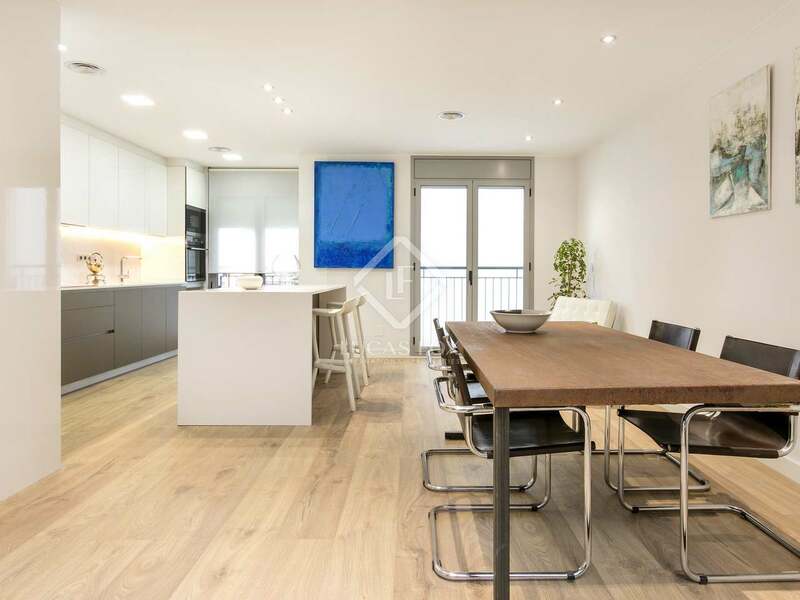 This stunning, 2-level penthouse is in a newly refurbished building with a lift. 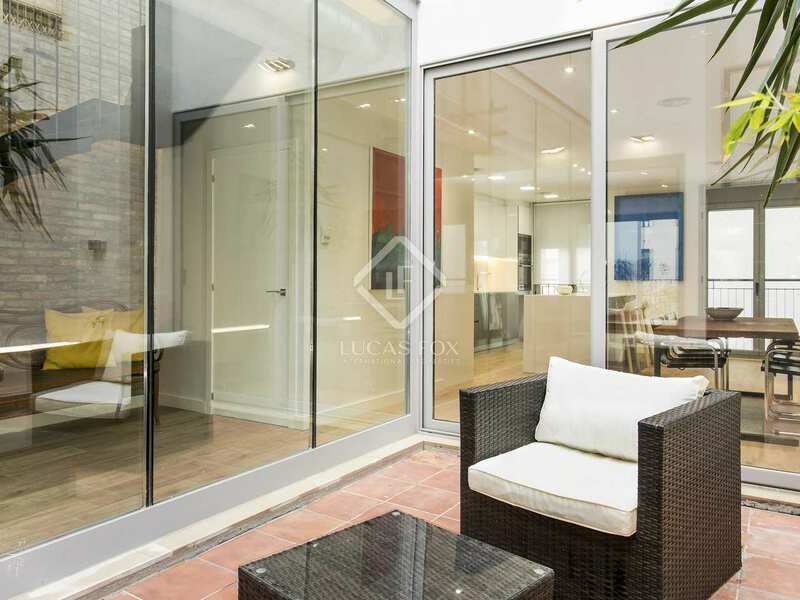 Newly renovated, the property features a private terrace and atrium, state of the art installations, and high quality finishes. 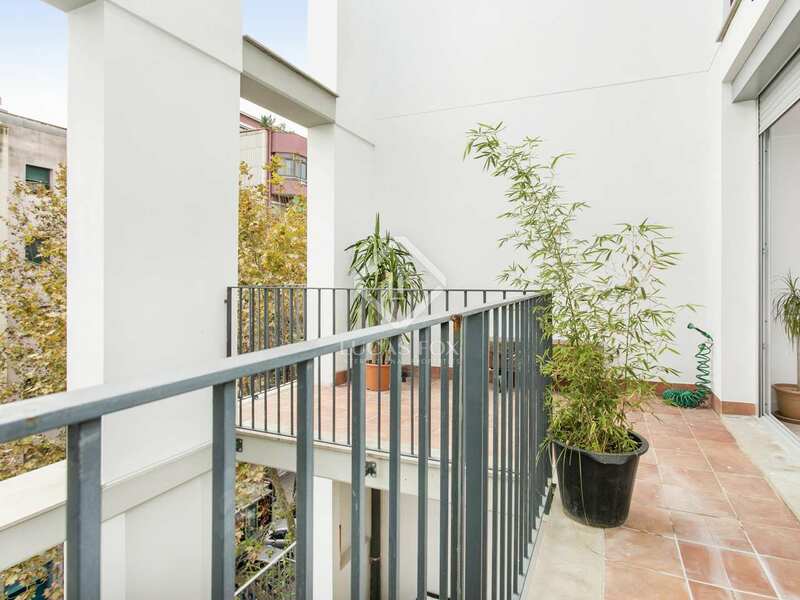 Occupying the fourth and fifth floors of the building, this 156 m² property has plenty of natural light. 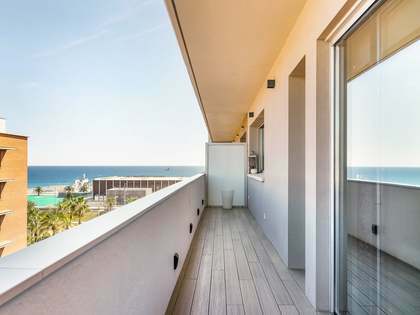 The penthouse is accessed directly from the lift, and consists of 2 floors. 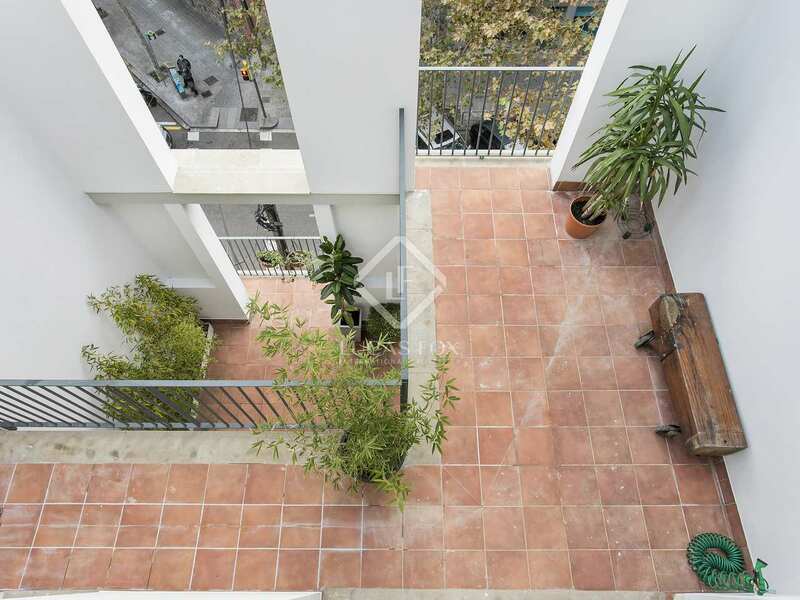 Upon entering, there is a combined living and dining area with a terrace facing the street. 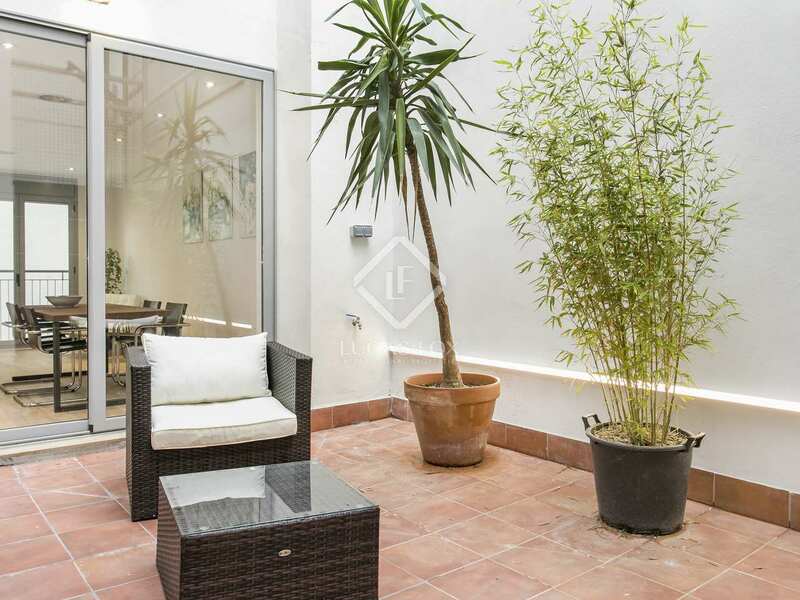 Towards the back of the property, there is an atrium with a lounge area as well as a large open kitchen and a guest bathroom. 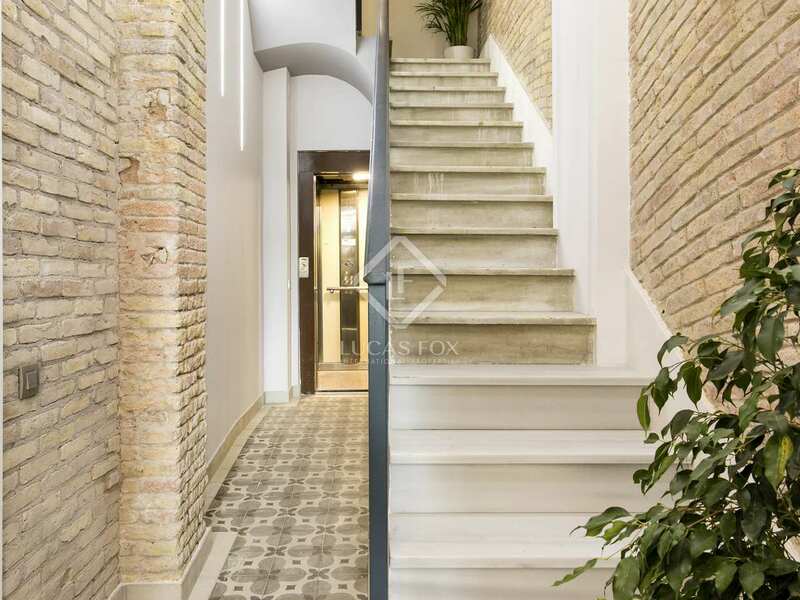 A staircase especially made for the property connects to the upper level. 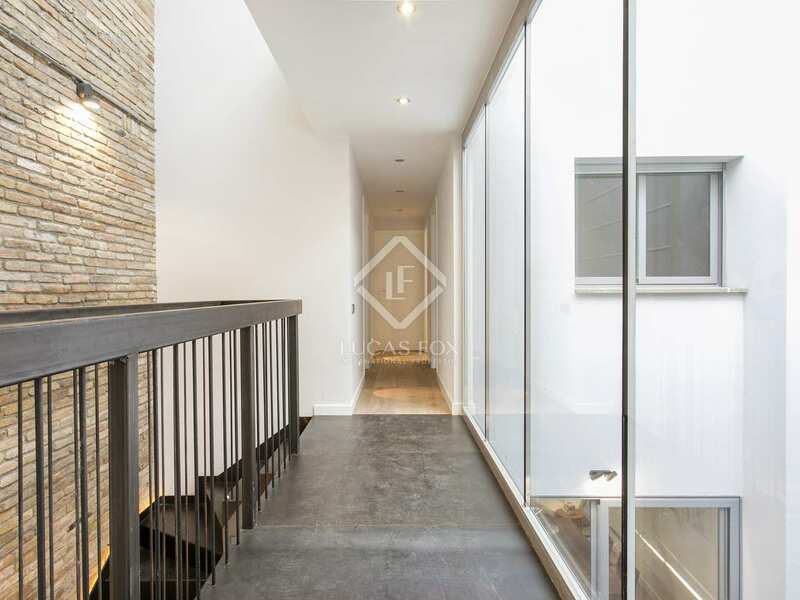 On the upper level, the master bedroom with ensuite bathroom face the street. 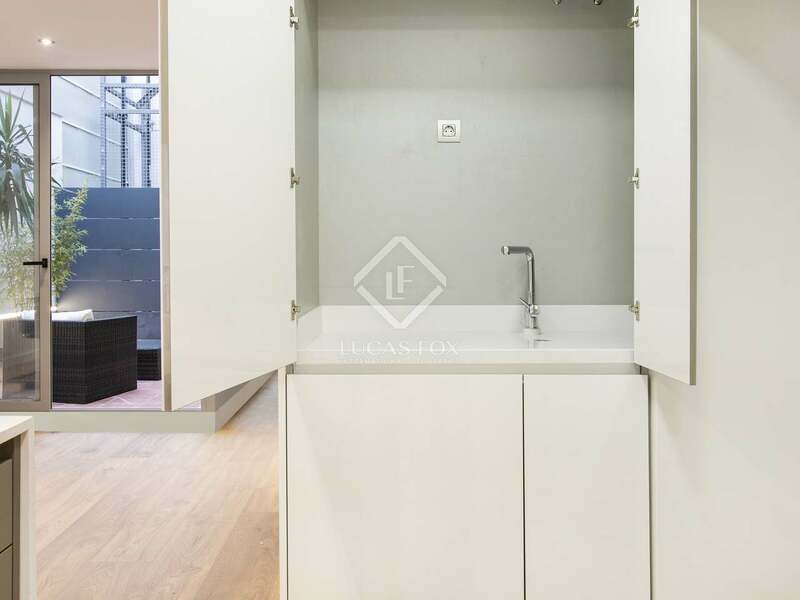 There is the option to install a walk-in wardrobe if desired. 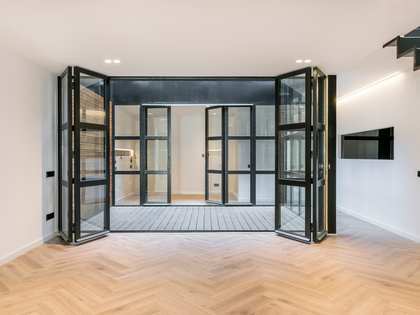 A hallway connects to 3 single bedrooms at the back of the apartment, as well as a third complete bathroom. 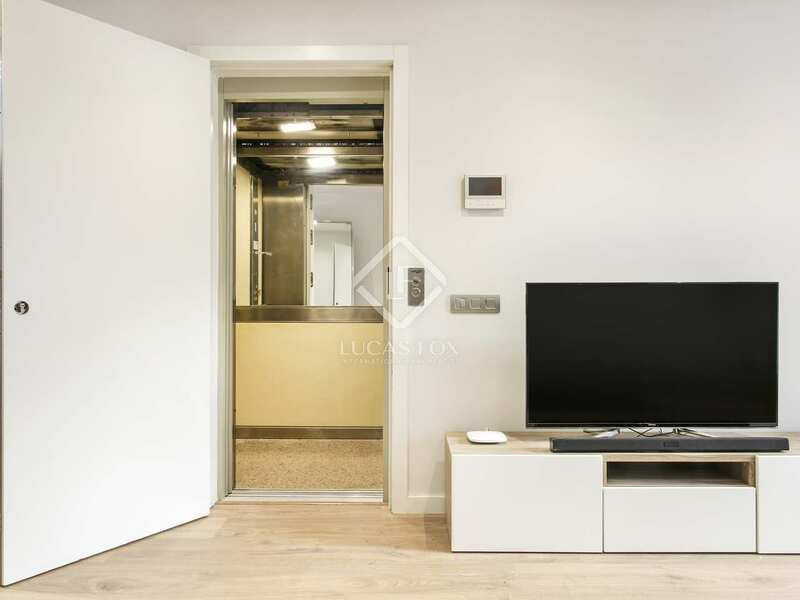 The apartment installations include ducted heating and air conditioning, wooden floors, and LED lighting details throughout. 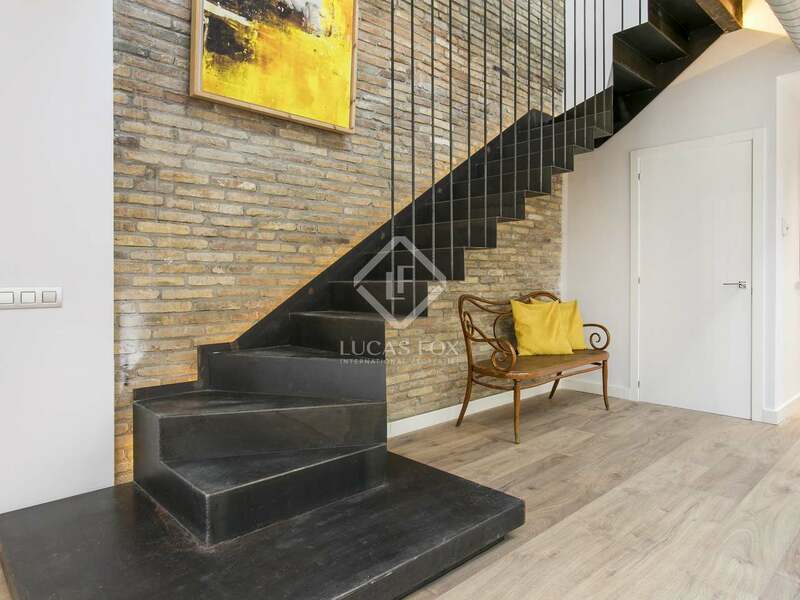 The stairwell features an exposed brick wall original to the building, highlighted by accent lighting. 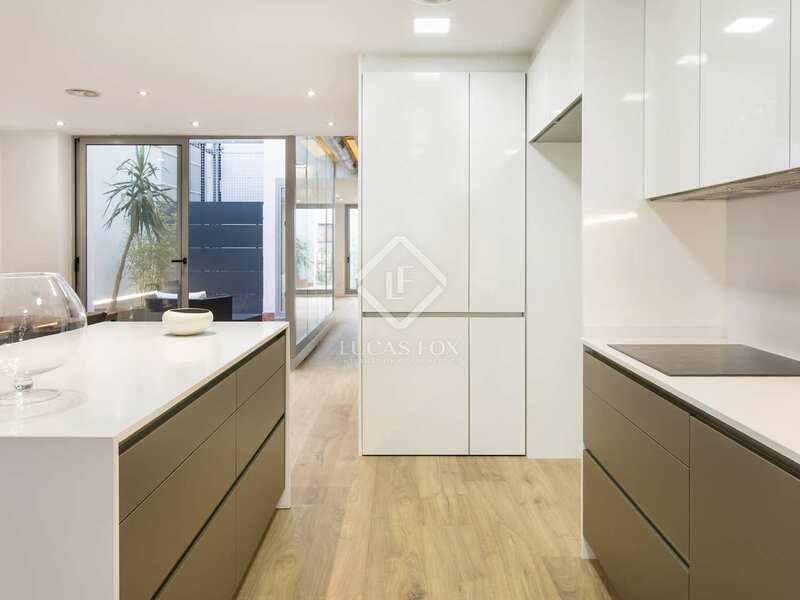 The kitchen is fully equipped with Silestone countertops and a full range of appliances. 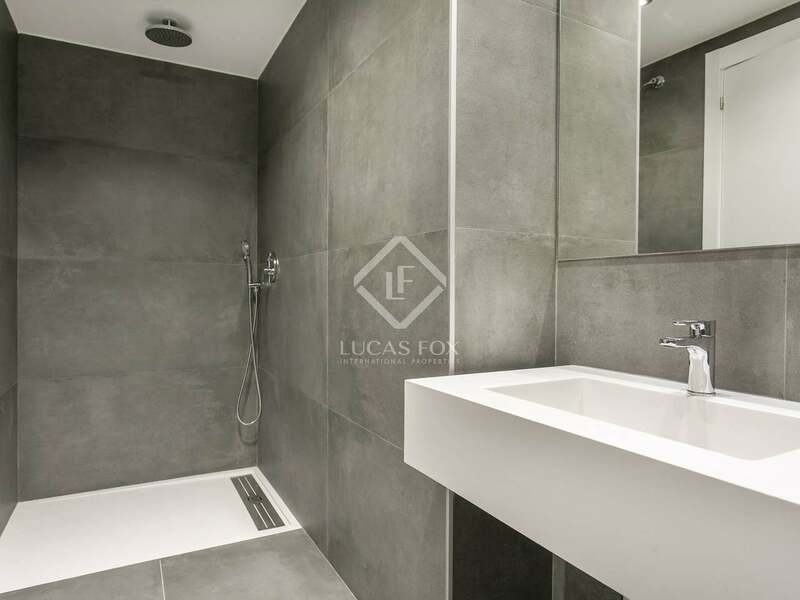 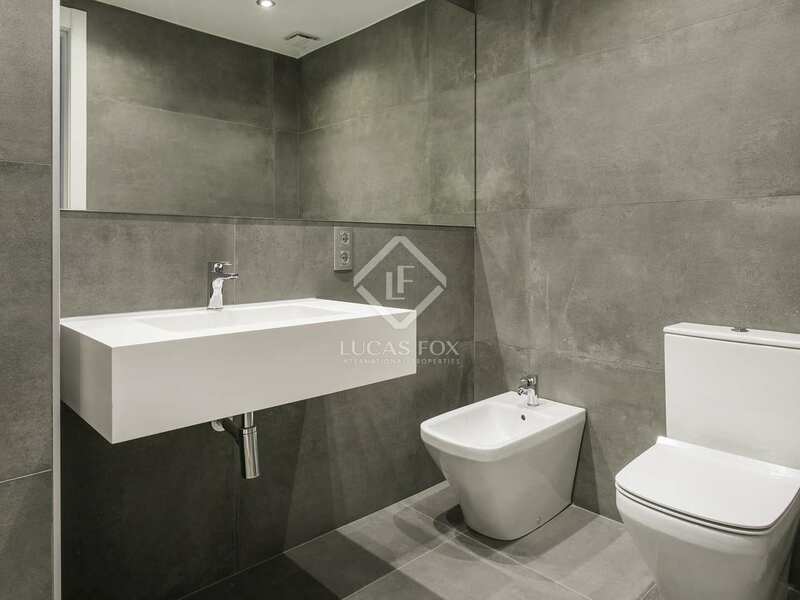 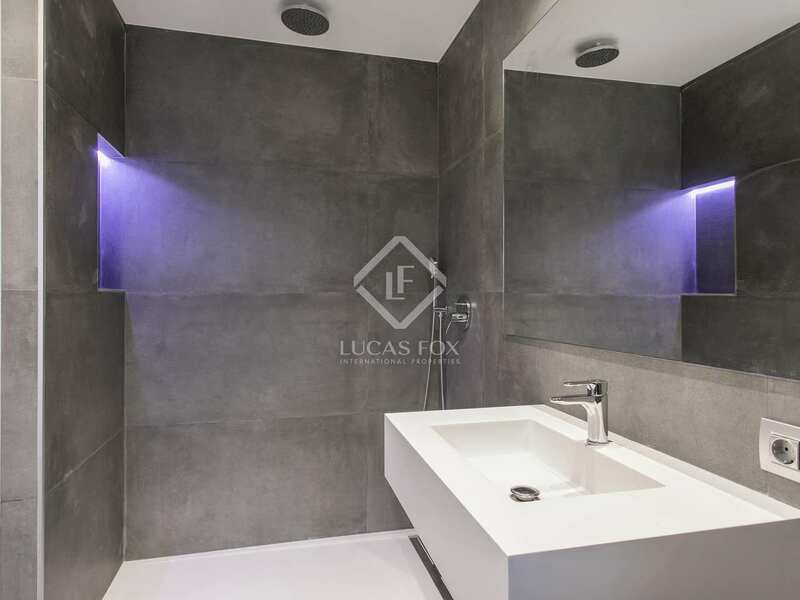 Finishes in the bathrooms include porcelain tiles, as well as Italian design fixtures and fittings. 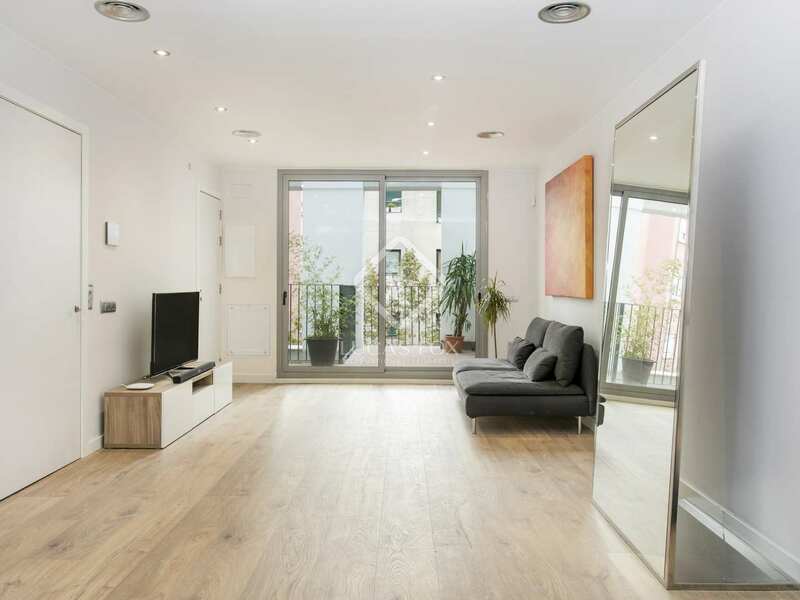 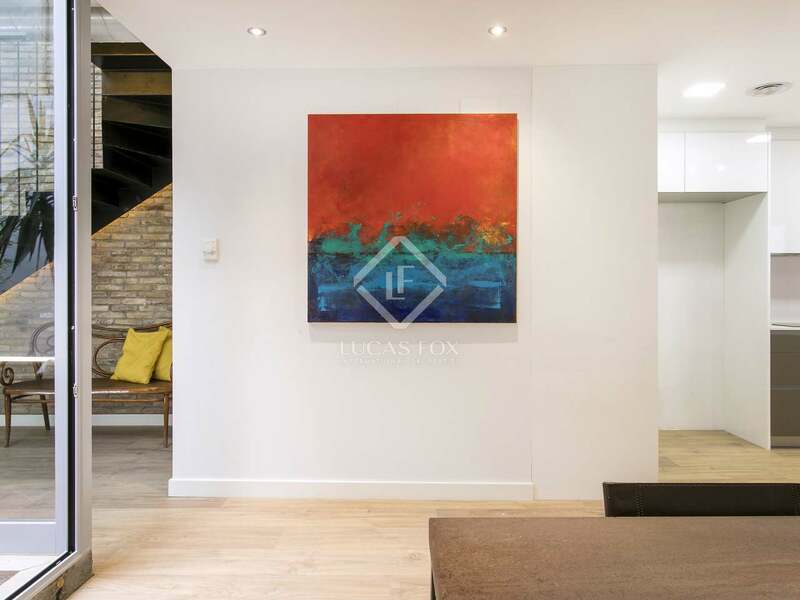 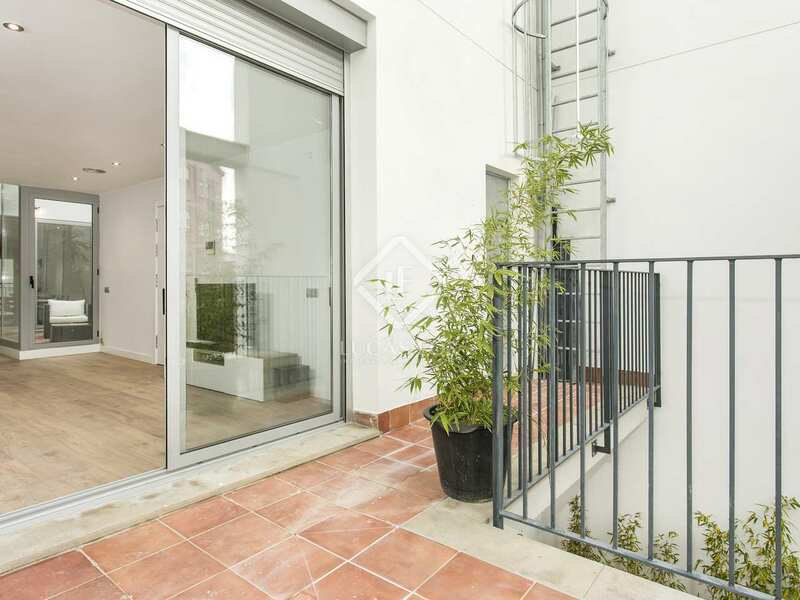 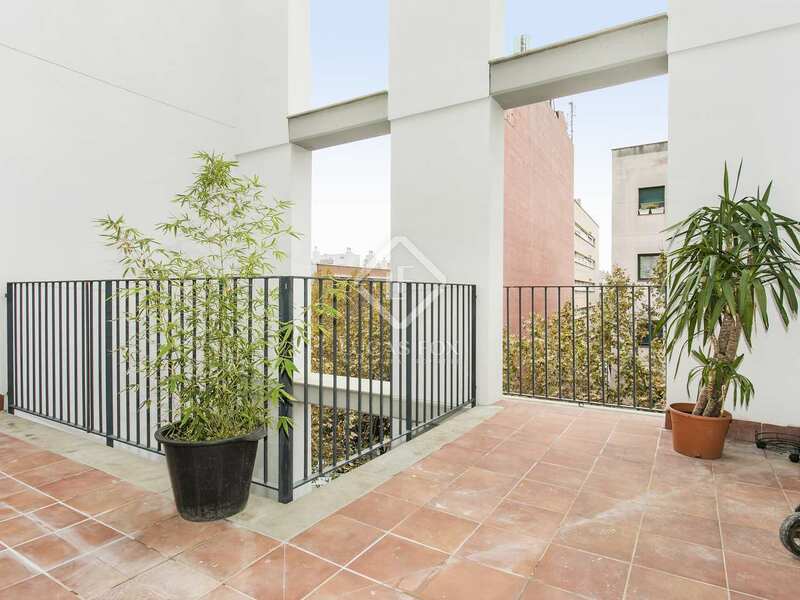 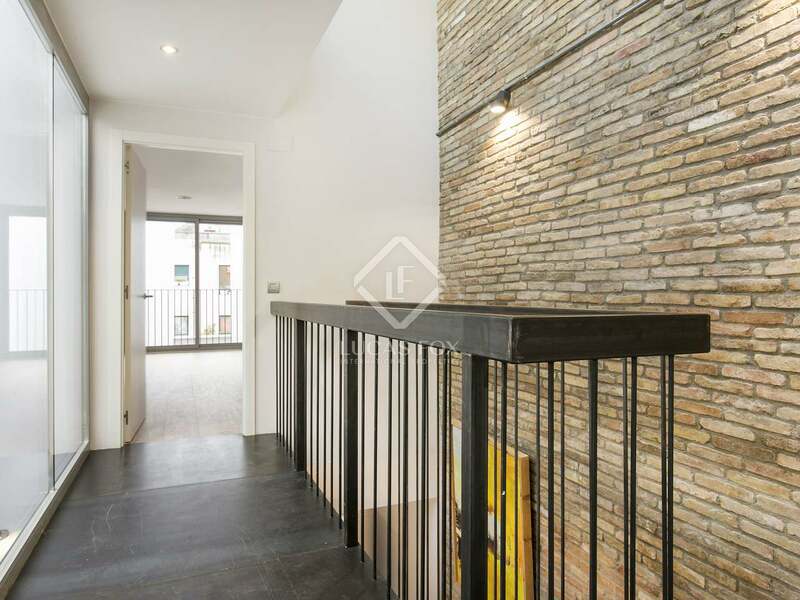 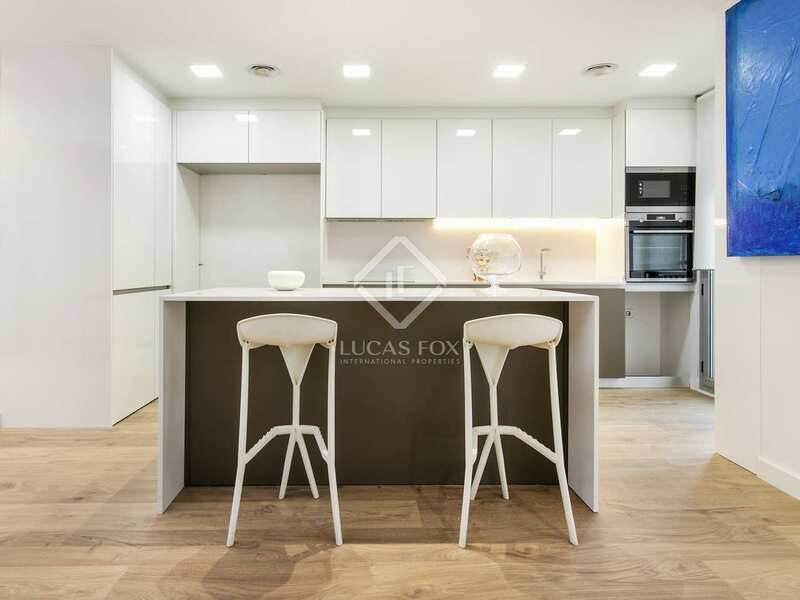 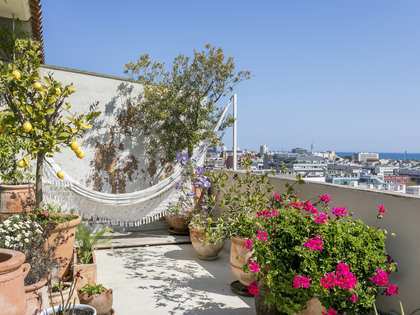 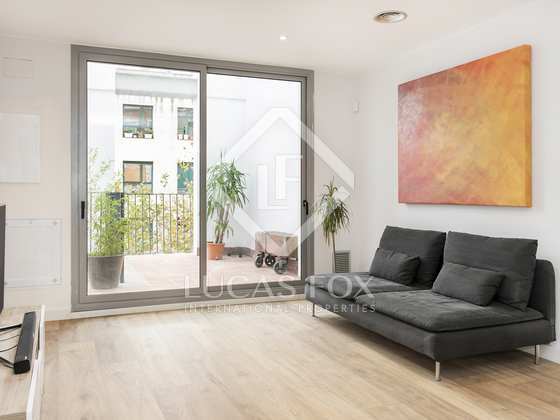 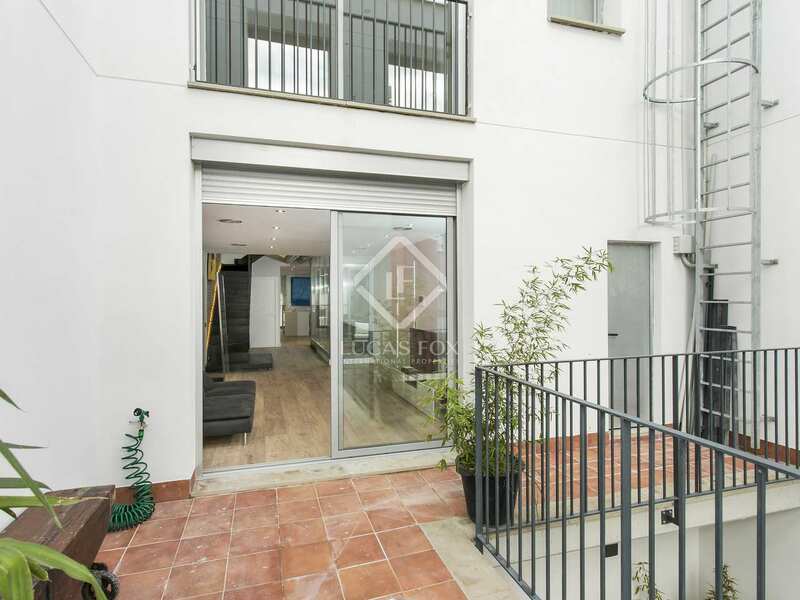 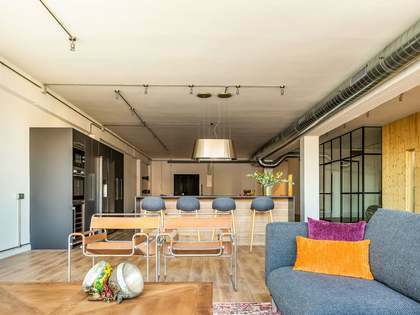 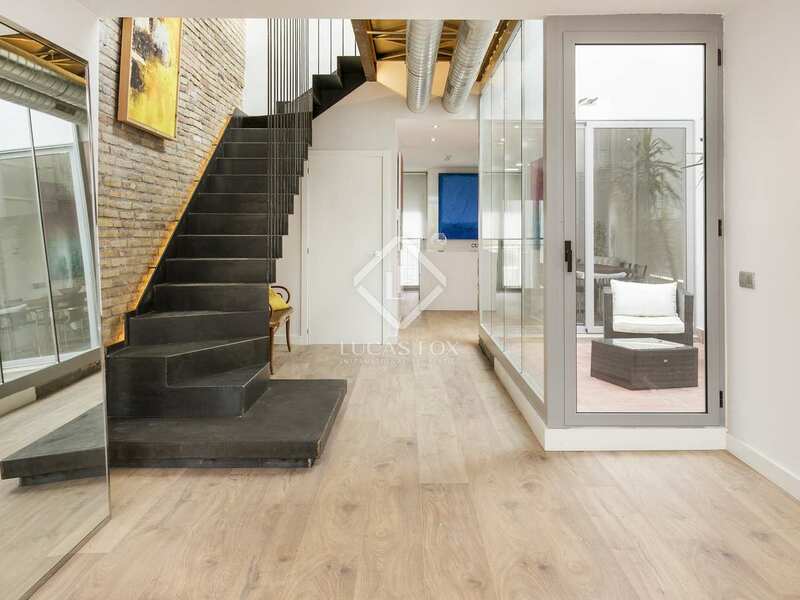 A wonderful penthouse duplex in Poblenou. 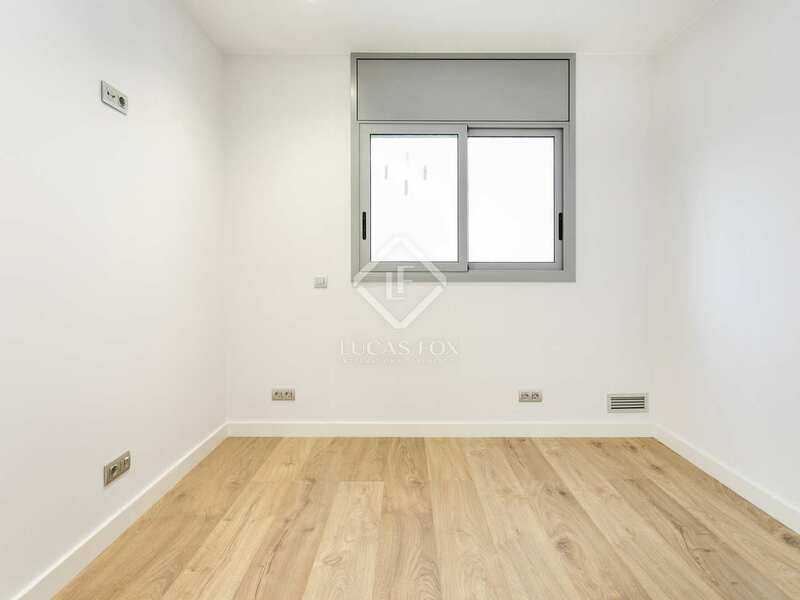 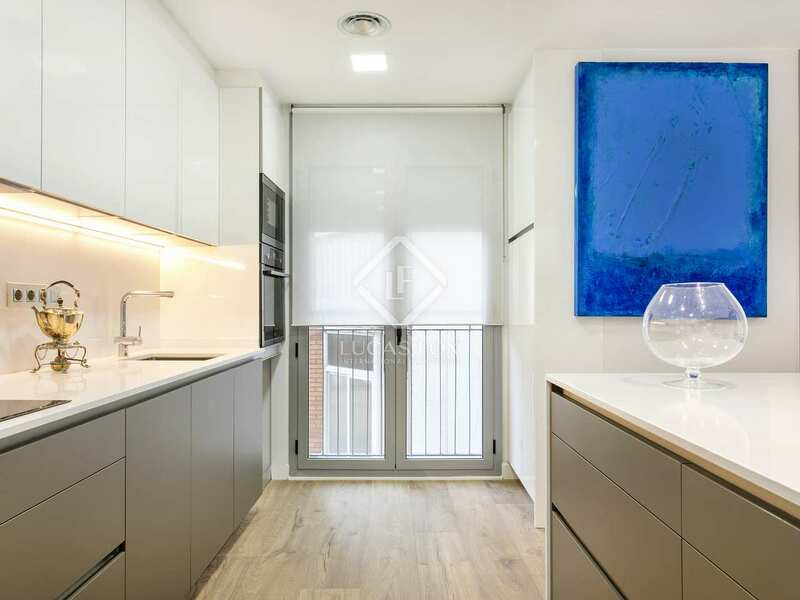 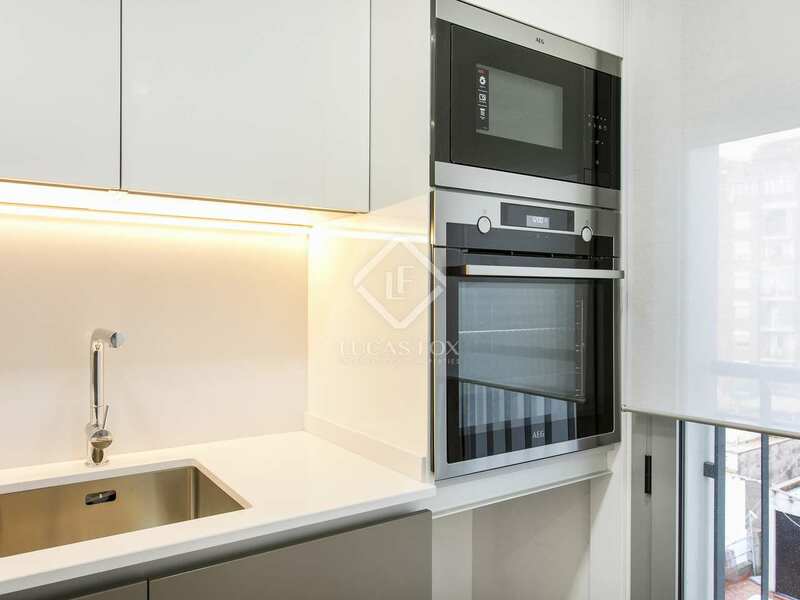 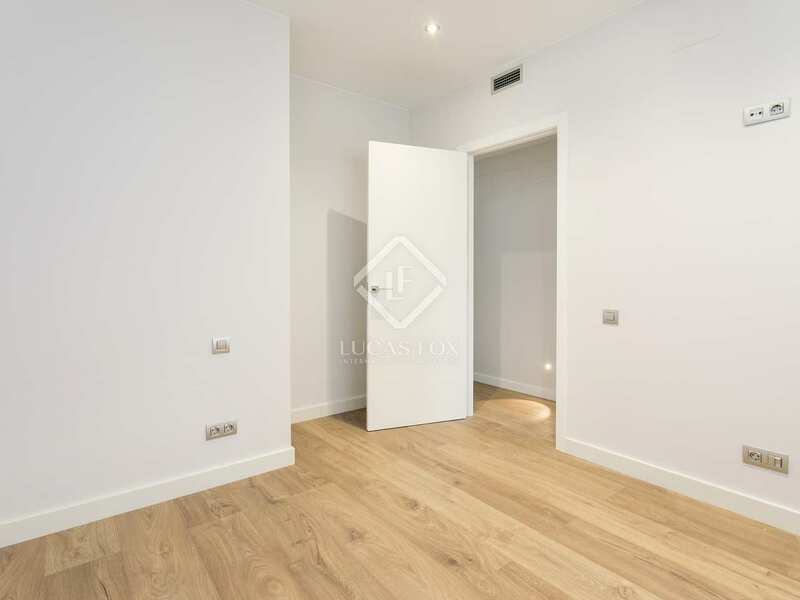 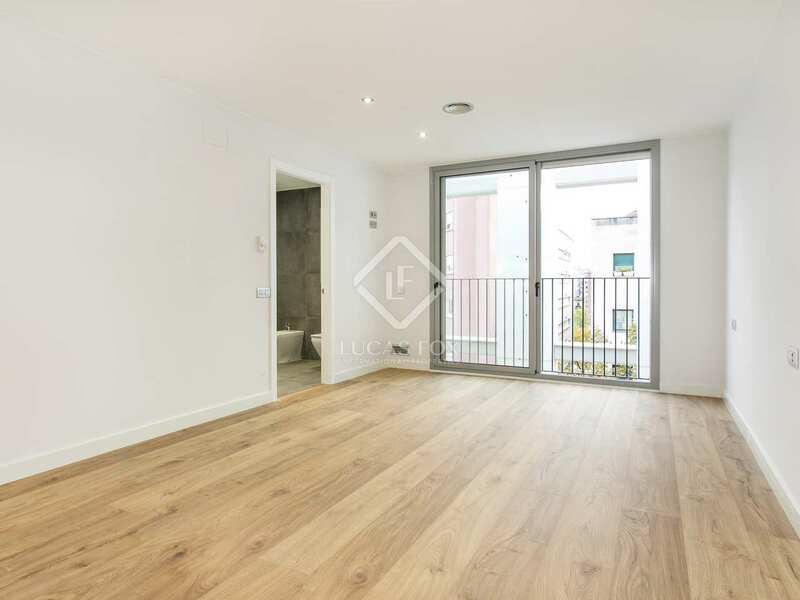 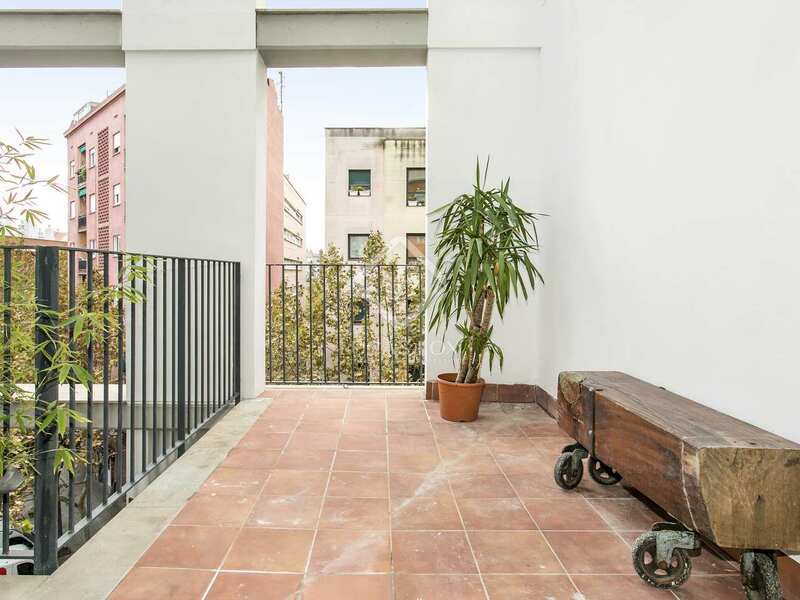 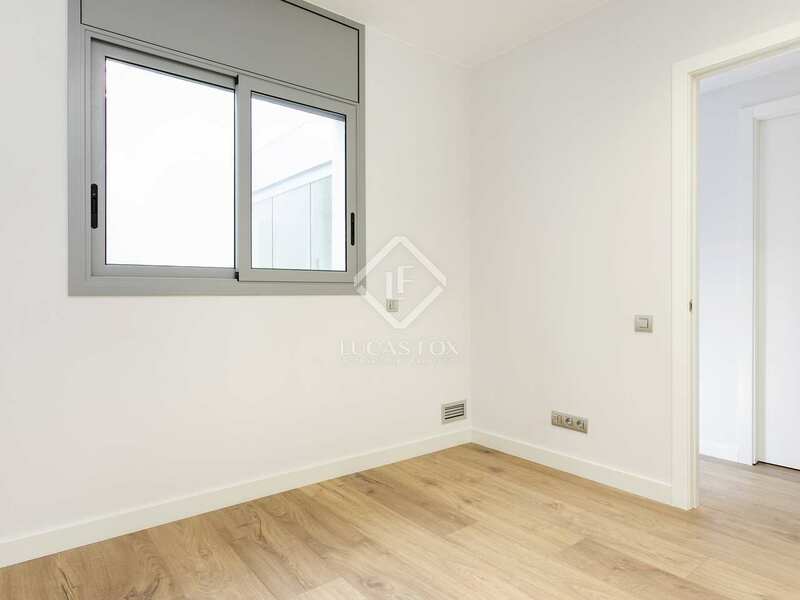 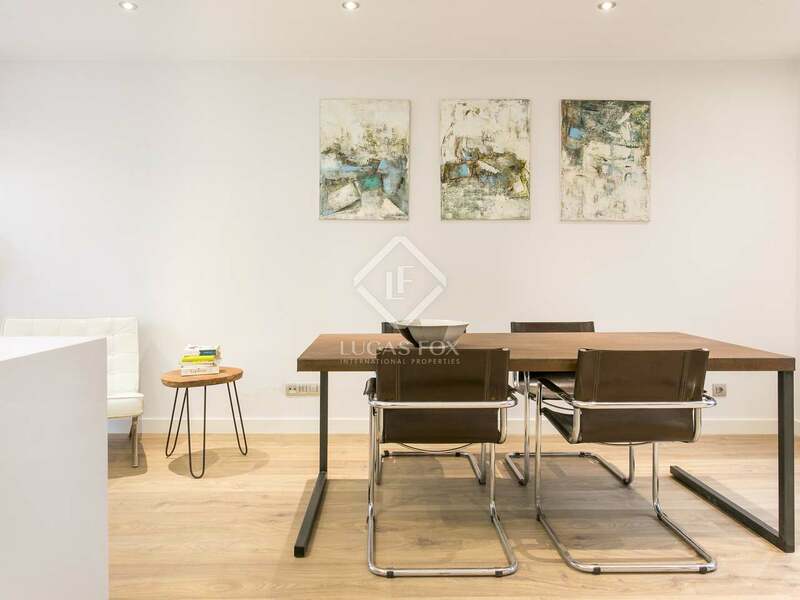 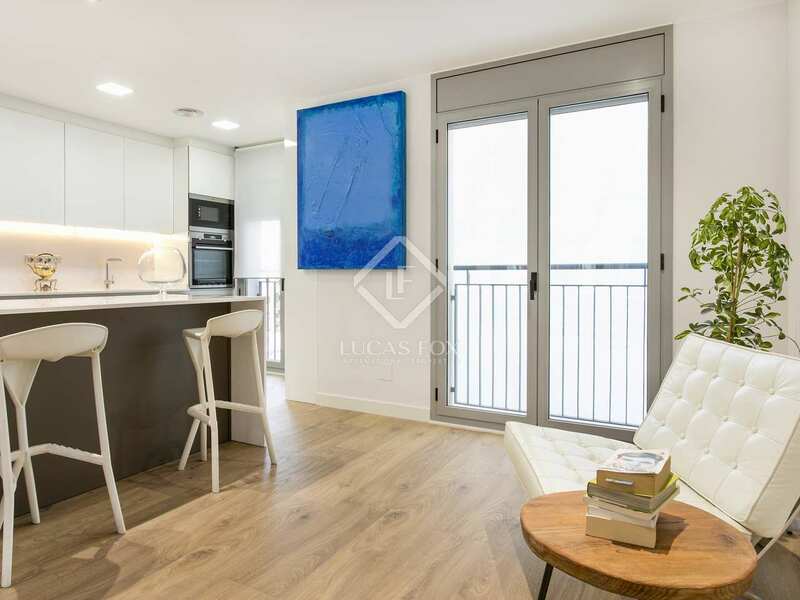 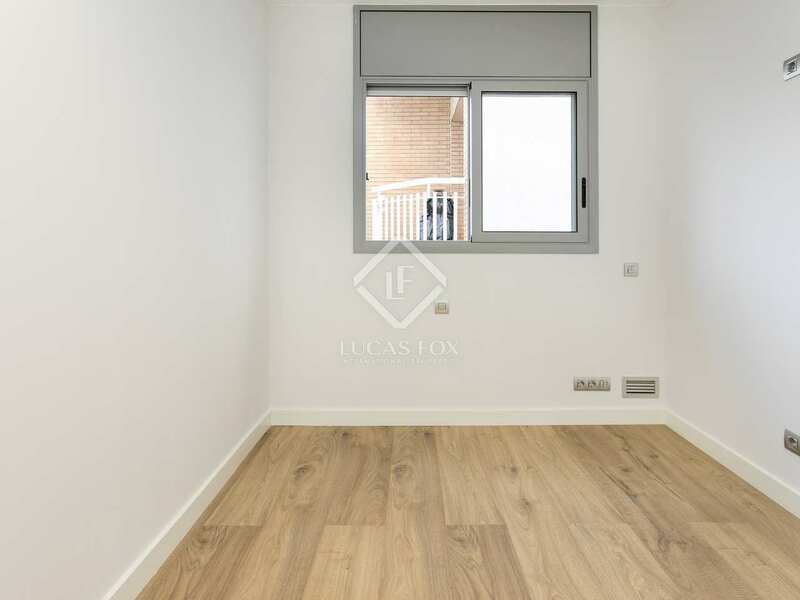 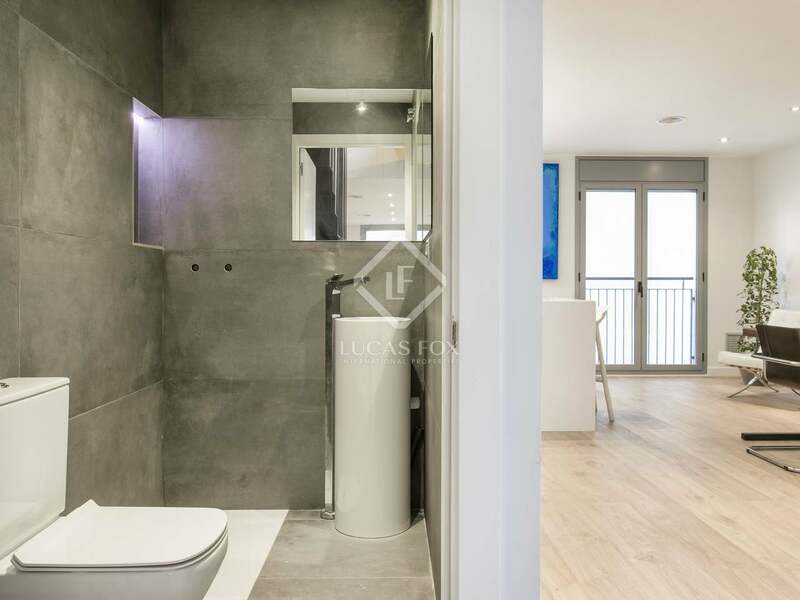 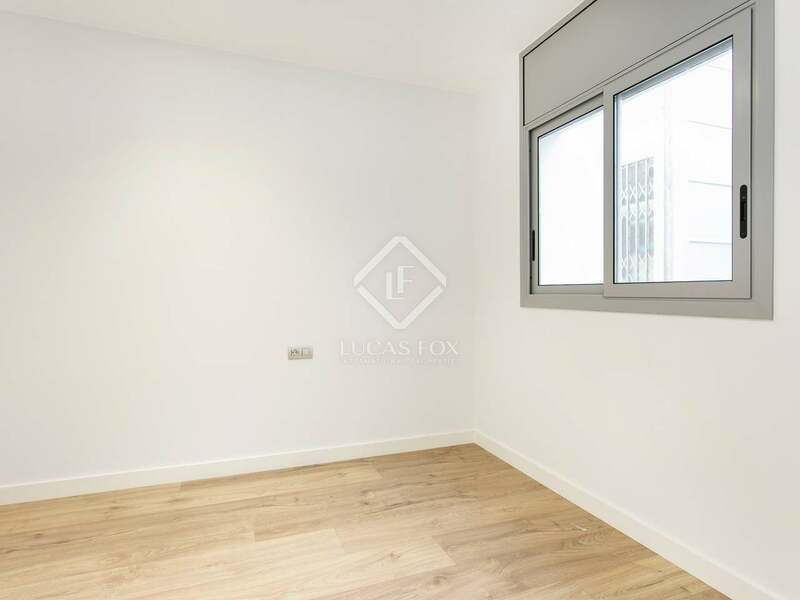 This apartment enjoys an excellent location in the up-and-coming neighbourhood of Poblenou, just 3 blocks away from the beach, and a few minutes walking to Rambla del Poblenou and the Glories shopping centre. 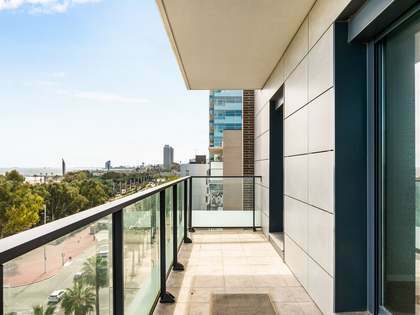 It is well connected to public transportation with the Poblenou metro stop (L4) and the Llull-Bilbao bus lines.